The first phase of polling for Lok Sabha elections got over on April 11. There were more than a few complaints from voters who went to the polling booth but much to their dismay found that their name was missing from the electoral list. To avoid this inconvenience, there are steps you can follow to check if your name is there on the list or not. To begin with, it is essential to have voter's ID card. However, electors who do not have voter cards but are enrolled as voters can use these documents as identity proof and a cast vote: passport, driving licence, PAN card, Aadhar card, passbook issued by bank or post office, smart card issued by Resistance Gene Identifier (RGI) under National Population Register (NPR), Mahatma Gandhi National Rural Employment Guarantee Act (MGNREGA) card, pension document with photograph, health insurance card issued by ministry of labour and authenticated photo voter slip issued by the election machinery. Before proceeding with the steps, there are a few details one should keep handy -- EPIC number, Full name and other information like DOB, etc. Those unaware, EPIC no is a 10-digit alpha-numeric code printed in the block letter at the top of the Voter ID card. If the name is there in the electoral list, you will receive an SMS stating your name and other details. Once confirmed, the representative will tell you if your name is there in the electoral list or not. Please note that the ‘1950’ is a location-based service and it will always connect you to the region where SIM card belongs. This means if you got your SIM card in Maharashtra, it will connect you to a center in Maharashtra. 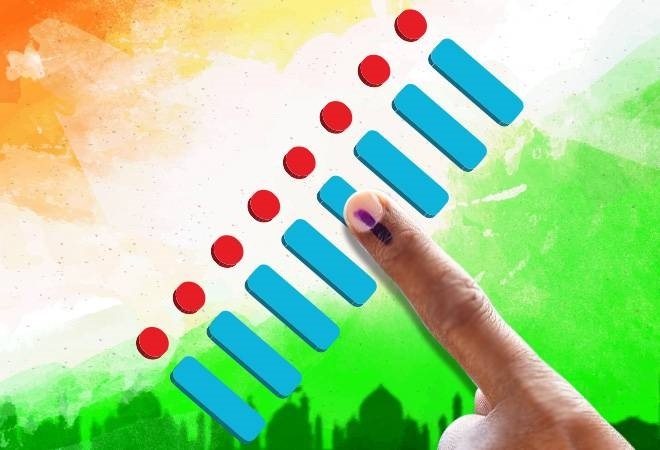 The Lok Sabha elections will be held over seven phases followed by counting of votes on May 23. The first phase will be held on April 11, second on April 18, third on April 23 and fourth on April 29, fifth on May 6, sixth on May 12 and seventh phase on May 19.